Luzon Avenue stretches from Commonwealth Ave. near Tandang Sora towards the Congressional Avenue Extension and currently ends at Sampaguita Avenue near the Fairview area. It is supposed to be part of Circumferential Road 5’s northern alignment that will connect with NLEX and McArthur Highway. 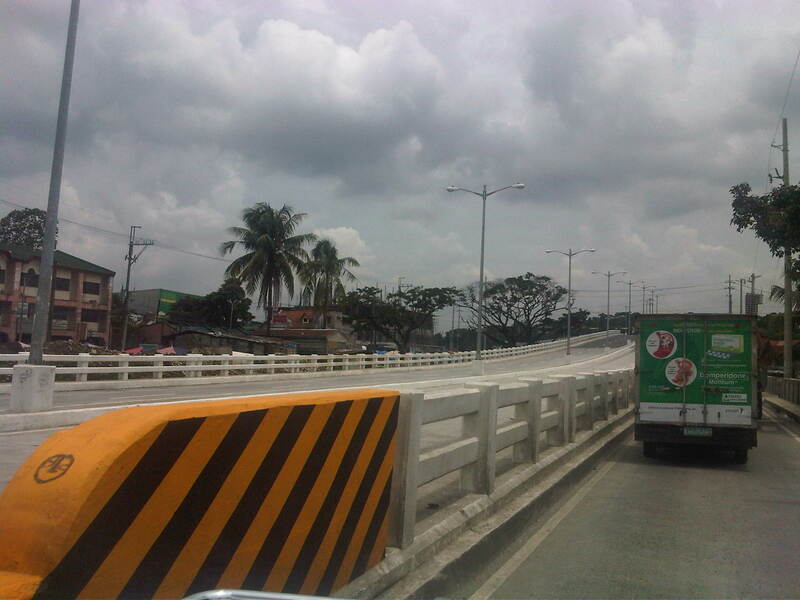 It took quite some time to complete the bridge crossing Commonwealth Ave. and connecting Luzon Ave. to Tandang Sora near the end of the Katipunan Ave. stretch of C5. Issues were mainly on informal settlers occupying the land where the southern foot of the bridge and service road were to be constructed. While much of the area has been cleared of informal settlers now, the ROW for the area has not been sufficiently cleared to complete the construction of the approach to the bridge. 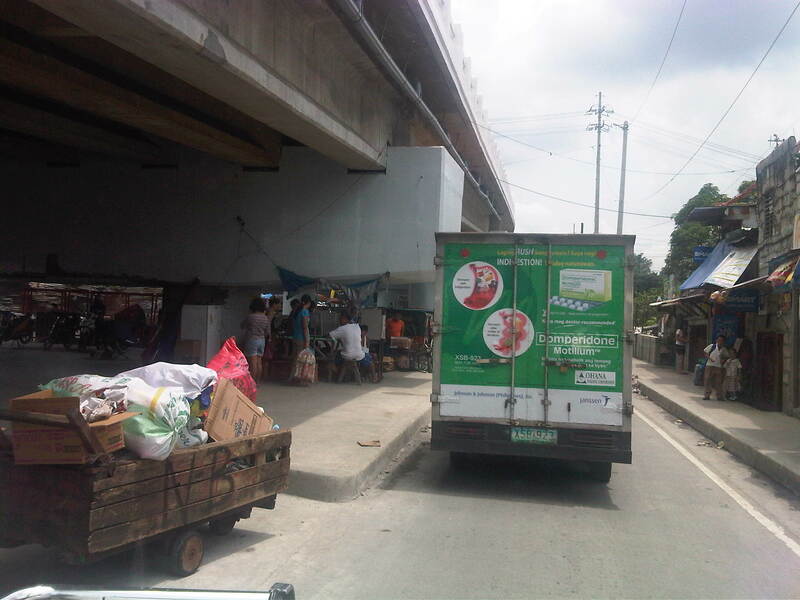 As such, only the northbound direction of the bridge has been opened to traffic as there is no space available for two-way traffic at the southern end where the bridge will ultimately connect to an intersection with Tandang Sora. Following are photos showing the approach at the north end of the bridge. Approach at the north end of the bridge across Commonwealth Avenue – the south end connects to Tandang Sora Ave. near the University of the Philippines Diliman campus. The south end approach is partly finished and allows only right turns from Tandang Sora towards the bridge or to the one-lane service road that leads to Fairview-bound side of Commonwealth. 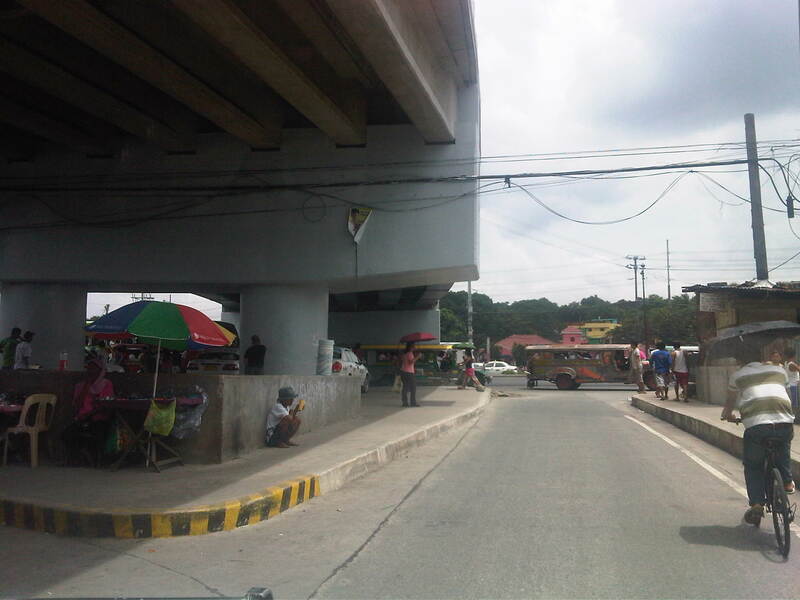 Service road – southbound traffic would have to take the service road that leads to Commonwealth Ave. and a short drive to the intersection of the latter with Tandang Sora. Remnants – there are still stalls, many of them mobile, selling a variety of goods including food, clothes, bags, plastic items and other commodities found in most wet and dry markets. 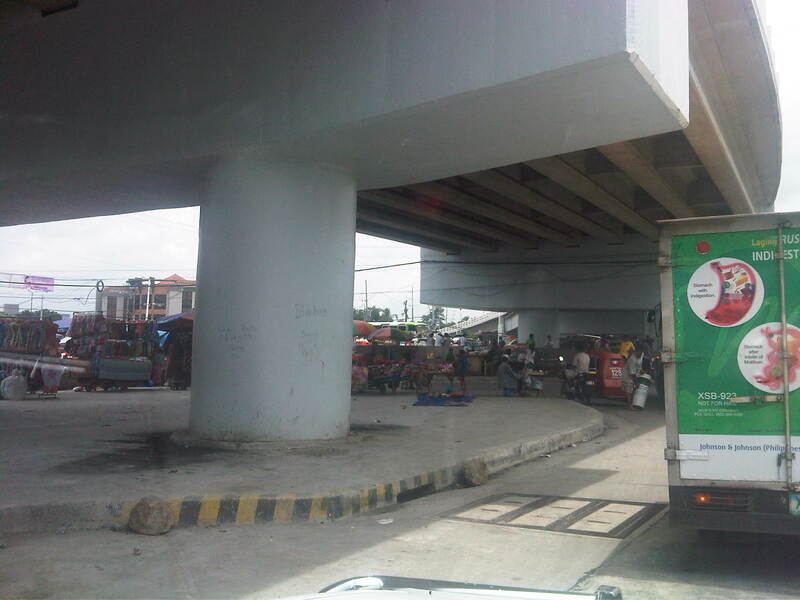 There is a Puregold supermarket near the intersection on the left side and unseen in the photo. Exit to Commonwealth – the one lane approach to Commonwealth is sufficient now due to the light traffic but will not be enough once Luzon Ave and C5 is completed, bringing more vehicles to this area. 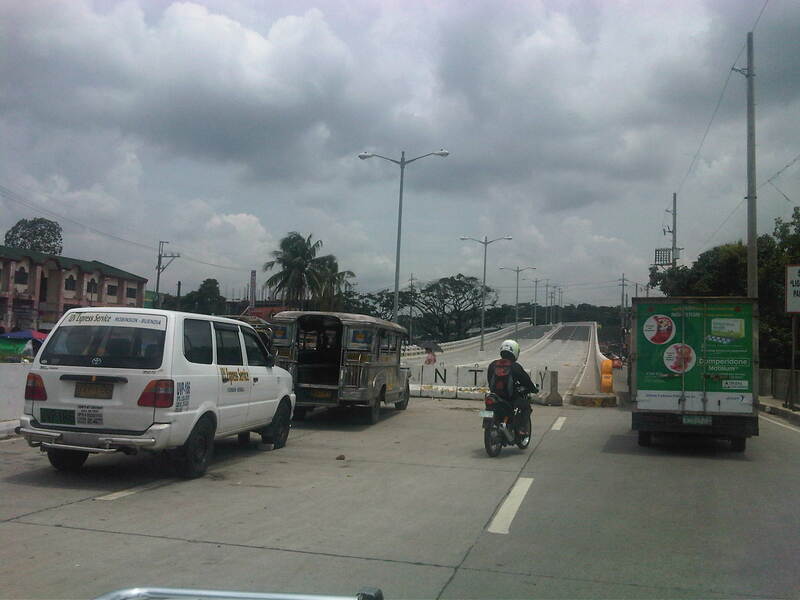 By d0ctrine in Highways and Streets, Infrastructure on September 8, 2012 .